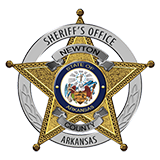 On July 14th, 2014 the Newton County Sheriff's Office received a call for assistance from the National Park Service's Dispatch in reference to a fall from a bluff at Lost Valley. Officials with the Sheriff's Office responded, as did Rangers from the National Park Service, members of the Newton County Search and Rescue, Carroll County Search and Rescue, Mennonite Disaster Services, Tri-County Search and Rescue, North Arkansas Regional Medical Center EMS, Ponca First Responders, Compton First Responders, Mt. Sherman First Responders, Air-Evac Lifeteam and local resident Paul Villines. Upon arriving at Lost Valley, rescuers determined that Tristan Stalbaum, aged 18 of Jonesboro, Arkansas, had fallen near the mouth of Eden Cave at the end of the Lost Valley trail. According to a witness, Stalbaum was on the rock face before the entrance to the cave and ventured further than the witness did. Stalbaum lost his footing then slipped and fell approximately 10 feet onto a small ledge, then fell from that ledge approximately 40 feet more onto the rocks below, and partially into the water that was flooding the canyon. It appeared that Stalbaum was unconscious after the second fall. When rescuers arrived on scene, Stalbaum was conscious but his mental status was altered. He had an obvious head injury, plus a back injury and multiple serious lacerations. A very technical and treacherous high-angle rescue, that was complicated by high water levels following an afternoon downpour, followed. Stalbaum was then carried out by rescue crews to a waiting ATV and taken to an ambulance. He was transported by ambulance to a waiting helicopter and flown to Mercy hospital in Springfield, Missouri. Rescue personnel finally left the scene just before 11:00 P.M. In all, 41 rescue personnel participated.